Call or Click to Save on Burlington Car Insurance! Getting Cheap Burlington Car Insurance Quotes Is Easy! ThinkInsure is the preferred car insurance provider of choice in Burlington and across the Golden Horseshoe because we give Ontario drivers what they want – the best car insurance coverage at the cheapest rates. We Can Save You Money : It’s the main reason you get a car insurance quote, right? We are independently owned and unbiased. So we can compare car insurance quotes from over 40 companies. On average, customers save over $400 a year. We Give You Lots Of Choice : Who doesn’t love options? You give us your information, we shop around, and you choose the best car insurance option at the lowest price. We are here to provide you with advice and answer your questions along the way. We Value Your Business : We’re on your side, and we take pride in helping our customers save money on auto insurance. 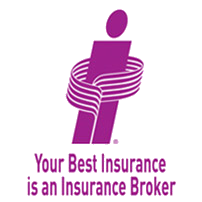 We will take care of your insurance needs in a prompt and professional manner – Guaranteed! Hassle-free Insurance : We know you want a hassle-free experience when shopping for car insurance. Whether it’s comparing quotes, changing coverage, or even filing a claim, we'll be there for you and take care of all your insurance needs. ThinkInsure insurance professionals work for you! Our job is to help you get the insurance you need at the cheapest rates possible. Ready to save on auto insurance? Bundle Car + Home Insurance and save 20% more! Compare Quick Quotes or call toll-free 1-855-550-5515 and start saving. What’s The Best Way To Compare Car Insurance Quotes To Get The Cheapest Rates? Simplifies the search for cheap insurance rates. Allows you to compare car insurance rates with multiple insurers. Can be done anytime and anywhere. Plus, our experienced car insurance experts are here to guide you through the process. You can contact us at any point with your questions and concerns, and we will be happy to bring clarity and ensure you are making the best decision possible. No two drivers are the same. At any given time, the roads are filled with drivers of varying degrees of experience. Some are new drivers, many are young drivers, there are seniors, professional drivers, and even high risk drivers. 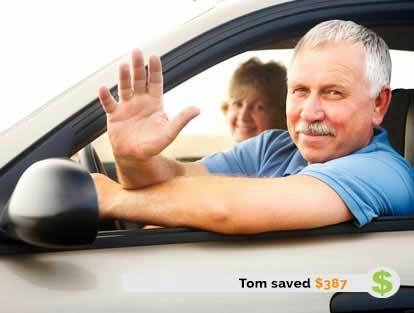 ThinkInsure provides car insurance coverage for ALL DRIVERS. Get an Online Quote or call 1-855-550-5515 and our car insurance experts will be happy to help you. Why Should You Choose A ThinkInsure To Compare Auto Insurance Rates? We do the insurance shopping for you – Just provide us with your info and we’ll handle the rest. As licensed professionals, we are here to provide you with advice about your car insurance options – Have questions? Ask away! We’re here to help you file insurance claims. Call us first when you need to file. We know insurance, and we are here to share our expertise with you so you can get the best car insurance in Burlington. Our insurance services are 100% FREE! It doesn’t get much cheaper than this! Located along Lake Ontario and home to a beautiful waterfront, more than 175,000 people call Burlington home. While this may seem like a location where traffic won’t be an issue, due to its close proximity to Hamilton, Niagara Falls, the Greater Toronto Area, and the U.S. border, many of the busiest highways in Ontario run through the city, including the QEW, Highway 403, and Highway 407. The city also attracts its fair share of tourists who seek to hike the Bruce Trail and Niagara Escarpment or take in the Royal Botanical Gardens, in addition to being home to a number of community colleges. With a high volume of drivers in the region, it’s important for drivers to be on high alert at all times. Due to volume, there are commonly accidents in the area, a reason for higher than average insurance rates – and a reason why it’s important to get Burlington car insurance quote to save on your insurance rates. With continued population and employment growth in the GTHA, traffic congestion in Burlington will increase. Because of its unique location, between major population centres in Toronto and Hamilton, Burlington experiences a considerable number of trips that have no origin or destination in the City. Some of these trips shortcut on city roads when a driver perceives congestion and believes travel time will be shorter through the city rather than on Provincial highways or Regional roads. Shortcutting has the potential to add a considerable amount of traffic to the City’s road network. 94% of all trips are made via car. Car travel increased by 10% from 2006 to 2011. On average, 260,670 trips via car start or end in Burlington on a typical weekday. Halton Region is growing at a rate that is twice as fast as Burlington and is expected to grow by 50% from 2011 to 2031. In 2016, thefts from vehicles are also down 30 per cent, but thefts of vehicles are up 42 per cent, says Halton regional police. In 2014, the city experienced more than 3,000 motor vehicle collisions. The city experienced a 17 per cent reduction in collisions in 2015. Carpool to reduce the number of vehicles on the road. Watch out for drivers from the U.S. who may not be familiar with Canadian driving laws. Avoid driving on major highways during peak hours. Plan alternative routes to the Skyway Bridge to avoid traffic congestion. Before jumping on the highway, check http://burlingtontraffic.ca/ to check traffic volume and to plan your route. Intersections to avoid – due to high traffic volume and accident rates avoid Fairview Street and Maple Avenue, Fairview Street between Drury Lane and Guelph Line, North Service Road at Walkers Line, and Plains Road between Brant Street and Helena Street. So get an online quick quote right now. Or, if you prefer call 1-855-550-5515 and discuss your needs with a friendly and knowledgeable ThinkInsure insurance expert. And start saving on your Burlington car insurance. We are a licensed Alberta and Ontario car insurance expert. So if you are an Alberta or Ontario driver we can get you coverage. Since we work with so many insurance companies you'll be able to compare multiple quotes for your region and get the lowest rate.